Penny Belle Loves to Make & Bake! Homemade Handcrafted decorated cakes, using only quality ingredients. Cakes are available in a variety of designs & flavours, made to order and can be personalised and themed for your celebration. 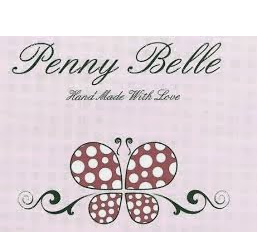 Penny Belle Loves to Make & Sew too! Applique Party Bags, Cushions, Aprons and Bunting.